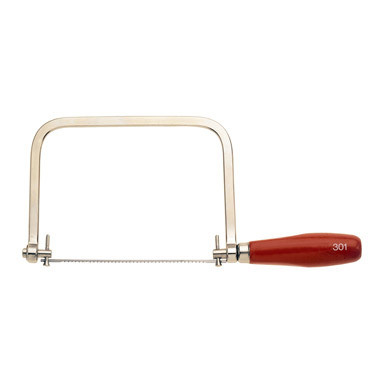 Bahco Coping Saw 301 - a fine-precision coping saw that is ideal for sawing wood and plastic. Interchangeable blade fitted on retaining pins, turnable 360°. Fitted with tempered carbon steel 165mm blade - 14 TPI.